The session started with an insightful video on storytelling made by the Canada Film Committee. Being a seasoned storyteller herself, Yuveka captivated the entire class with an animated narrative of her recent book. Storytelling is an impressionable art that we all have been exposed to at some point in our lives. It is an art that is natural to some but can always be learnt by others with the drive to hone and develop their skills. The students learnt about different aspects of storytelling through a number of exercises during the day. To be a good storyteller, one should first be a good listener and dig deeper about the ‘how & what’ rather than the ‘why’. The students were made aware of themselves, their innermost worries, stories and communication through exercises that included role play and exploration. For instance, one of the exercises for the day was the ‘timeline exercise’ where the students were asked to meditate and dwell upon their past experiences and list their positive moments followed by the negative ones. The students also did exercises based on sensory perception and how various senses trigger memories and help us weave stories around these memories. The major learning outcome of this workshop was to demonstrate to the students how their individual stories make them unique and help them differentiate themselves from the crowd. The beauty of storytelling lies in always keeping the curiosity within yourself alive. Yuveka has a post-graduate degree in Education from TISS. With over nine years of experience in the development sector, she has always been passionate about bringing stories to people. 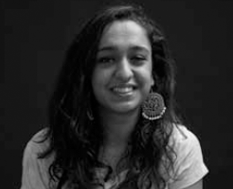 She is the Founder-Director at Darwesh, a Delhi-based travel and culture studio. She also oversees marketing and content and presents the thematic walks at Darwesh.